I am a professional first responder with twenty-eight years of experience in the fire and emergency medical services. 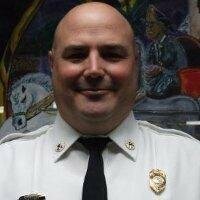 I retired as the Deputy Chief with the Gulfport Fire Department April 15th, 2017. Before getting promoted to Deputy Fire Chief I ran the fire and EMS training division for 170 career combat firefighters with the Gulfport Fire Department. I built and maintain a Moodle Learning Management Training website for our department and the Mississippi Office of Home Land Security. I developed the first certification and training the credentialing process for the Mississippi Office of Homeland Security and also wrote the statewide credentialing standard operating procedures (SOG) for The Mississippi Office of Homeland Security. I also teach all over the country as a contract instructor for the National Fire Academy out of Emmitsburg, MD. I have excellent computer skills, data management skill, and exceptionally proficient with Microsoft Word, Excel, Access, and Outlook. Played a key role in implementing and writing the SOG’s for the electronic reporting of the National Fire Incident Reporting System (NFIRS) and records management system (RMS) with the Gulfport Fire Department. I am excellent at collecting data, extracting data from a database, and building pivot tables for budgeting and planning analysis. Emergency Medical Technician – Basic Instructor for the Mississippi Gulf Coast Community College –Jeff Davis Campus. I am currently a contract employee for the Mississippi Office of Homeland Security (MOHS) and the former Task Force Leader for MS Task Force III, (USAR Team). I work on various projects for them. During my employment with the office, I wrote the first statewide MOHS credentialing system standard operating guidelines (SOG) and the second MOHS hurricane response plan.